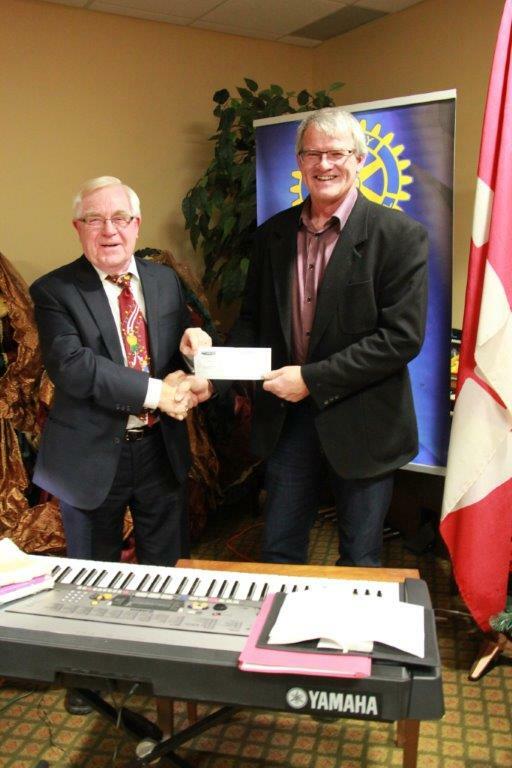 Brian Pollock (right)worked with Rotary and installed a large stone where a plaque was mounted that commemorated World War 1 veterans. This Vimy Oaks site in Victoria Park, Fergus was developed by the Rotary Club of Fergus-Elora. 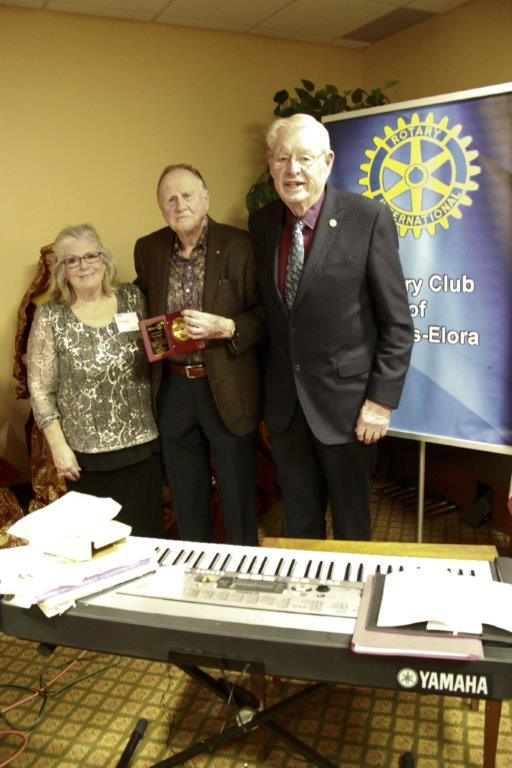 Ivan Ostic, centre, was congratulated for his 50 years in Rotary and was presented with a suitably engraved clock. Shirley Scott (left) received a special memento from the club. 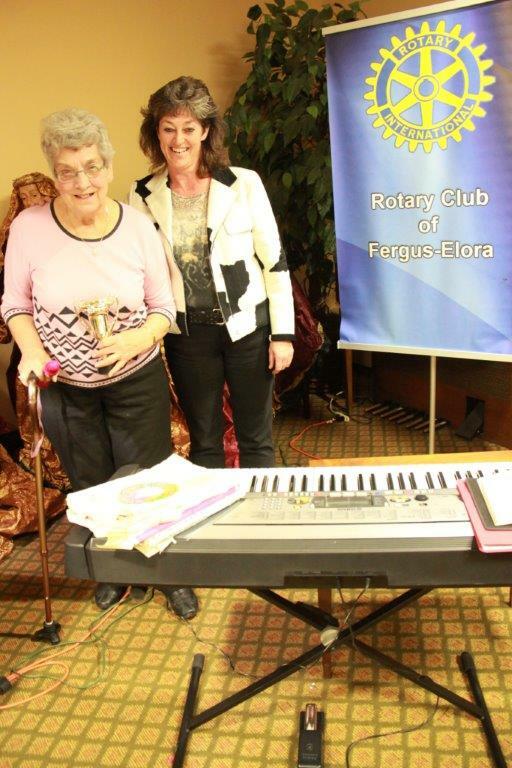 Shirley is a Friend of Rotary that has faithfully helped us by selling bingo cards for the past 10 years. 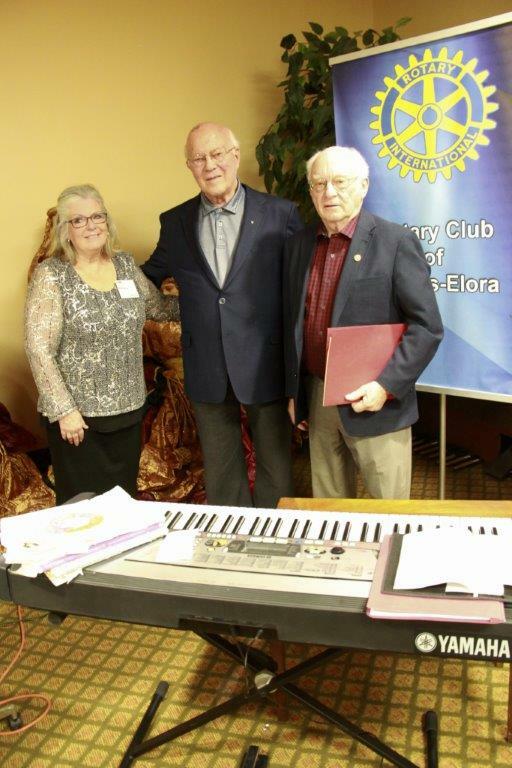 Donald Darroch, centre, was congratulated for his 50 years in Rotary and was presented with a suitably engraved clock.